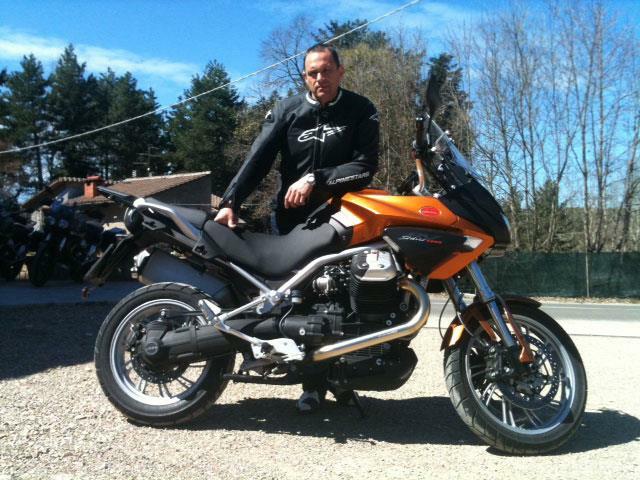 ﻿ Moto Guzzi Stelvio first ride: "Very easy and relaxing to ride"
Moto Guzzi is celebrating it’s 90th birthday with two new Moto Guzzi Stelvio Adventure bikes and a revised Moto Guzzi Norge Tourer. “Both bikes have received extensive modifications including a revised 8 valve engine which produces 105bhp and more torque, new body work, traction control and a new 32 litre fuel tank among other modifications. “Both machines are very easy to ride, engines are smooth and gear boxes slick. Thanks to a two-position seat they are very comfortable too. "The Stelvio is a more laid back, relaxed take on the adventure bike compared to a BMW R1200GS and it is perfect for the riding that I’ve done today, which has been a mix of town riding, mountain roads and motorways. 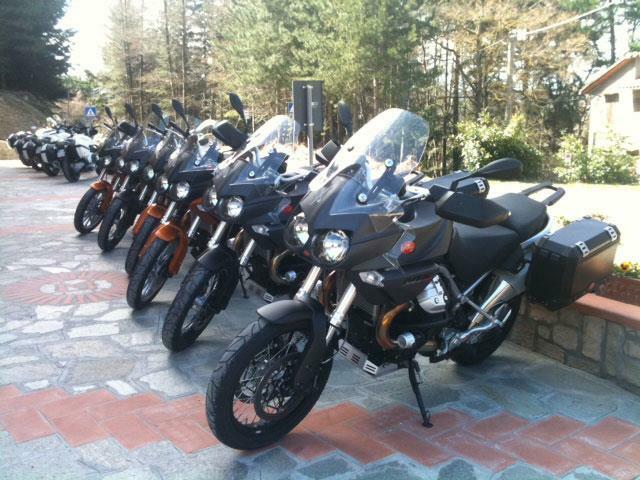 “The NTX version has an impressive amount of standard equipment including ABS, panniers, sat nav and heated grips. Being 20kg heavier it doesn’t feel as spritely as the standard bike but still very good never the less.